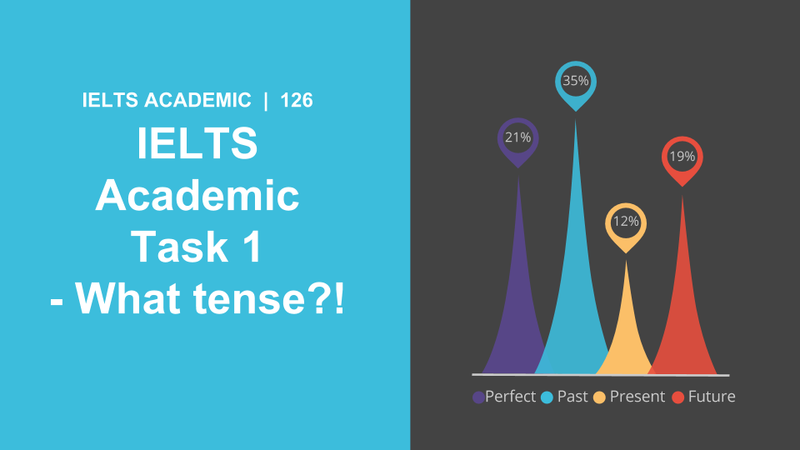 The one thing that I repeatedly see ESL students get wrong when writing the IELTS Academic Task 1 is using the wrong tense. This can be fixed with a bit of knowledge and practice. Let’s take a look at the golden rules and some examples. There are two very basic rules that you should follow when determining which tense to use. Check that you don’t accidentally change the tense half way through. Before we look at the examples it might be useful to review the 12 verb tenses. Take a look at the chart for a quick refresher. Look at the bar chart below. The title reads ‘U.S. 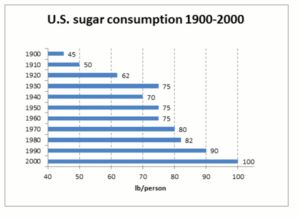 sugar consumption 1900-2000’. Here we can clearly see that the dates given are before the present year (2016), therefore we should use the past tense. Example: Between 1900 and 2000, the sugar consumption of US citizens more than doubled from 45 pounds per person to 100 pounds per person. It can be noted that the most significant rise occurred between 1920 and 1930 when the average person increased their intake by 13 pounds. Let’s look at the next example. 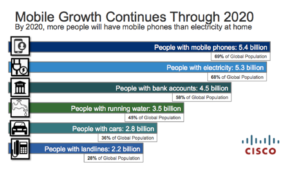 Here the title reads ‘Mobile Growth Continues Through 2020’. The date given here (2020) is clearly after the present year (2016), therefore we should use the future tense. Notice some of the key language used: by 2020; will exceed; It is predicted; will have running water. This is all language used to talk about the future. Which tense to use becomes a little more confusing when there is no year/date given. Here we will need to pay more attention to the words used in the title. Let’s look at the example below. The title reads ‘Prevalence of overweight people in the Anglosphere”. The language in the title is about the general present time, so you should use the present simple tense. 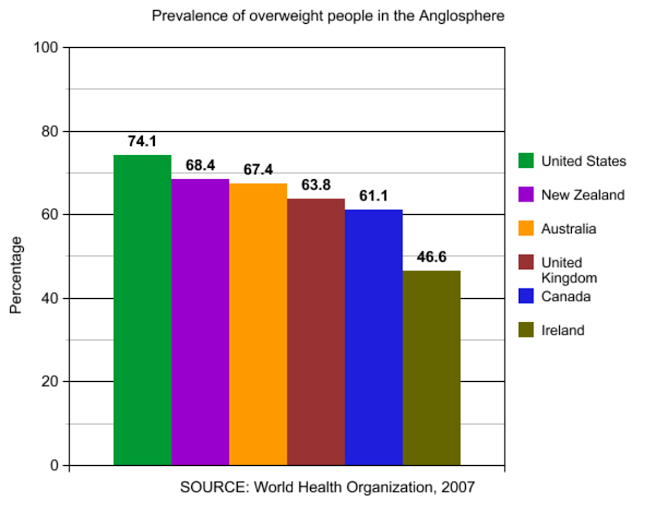 Example: It can be seen from the chart that there are currently more overweight Americans than Irish. In fact, there are almost 30% more overweight US citizens. The next most overweight group in the Anglosphere are the New Zealanders with 68.4% of the population presently considered weighing more than recommended. To get the highest points you will really need to compare the changes in the fuel type consumptions between 1990 and 2040. To do this you may have to use one of the less usual tense in English – the future perfect. 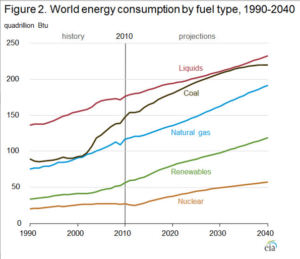 Example: The chart shows the past and predicted world energy consumption by fuel type between 1990 and 2040. It can be seen that the usage of liquid fuels has been the highest of the five types listed, and will continue to be the most heavily used in the future. However, it is predicted that coal and liquid fuels will have the relatively same amounts of consumption in 2030 at around 200 quadrillion BTUs. The idea remains the same though – if there is something in the future you want to use a verb form that is also future.